So Olivia just did a post like this, and I decided to steal her idea. And then I decided to switch it up a bit, and only do Cate Blanchett's Red Carpet Looks. Because she always looks stunning, no? Okay, so the pink cape thingy is a little weird, but the rest of the dress is soooooo swoony. I mean, the little flower details, the shoes, it looks like something a fairy would wear. Really. I like the shoulder on this one, and the train and flowers.. I MEAN THAT TRAIN!! It's so gorgeous! It all has a very Marilyn Monroe feel to it, doesn't it? Gah. The color of this one is perfect. The gold leaves and stuff and it pulls the material so nicely. And her makeup is always so perfect!!?? I LOVE THIS ONE!! I mean seriously, I would wear it!!! But then again, I would wear every single one of these dresses. But the lace? And the shoes, and the modesty? I'm pretty sure this was from last years Oscar's, and this dress was stunning. I love the modesty again, the flowers, her earrings, her hair!! Everything about this is just so elegant and etherial. Dawww. It's from Cinderella!! :) Seriously, this outfit looks so comfortable, and still elegant and gorgeous, it makes me want to just wear it everywhere. The cream shirt with the dark navy is such a classic gorgeous color choice, and then the necklace to pull it together..... Yes. 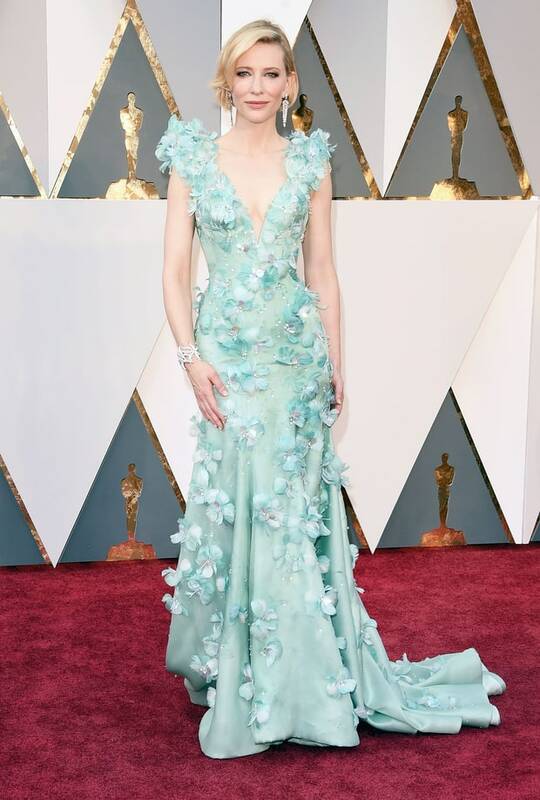 Bravo Cate. It. Is. The. Most. Gorgeous. Dress. Ever. Period. 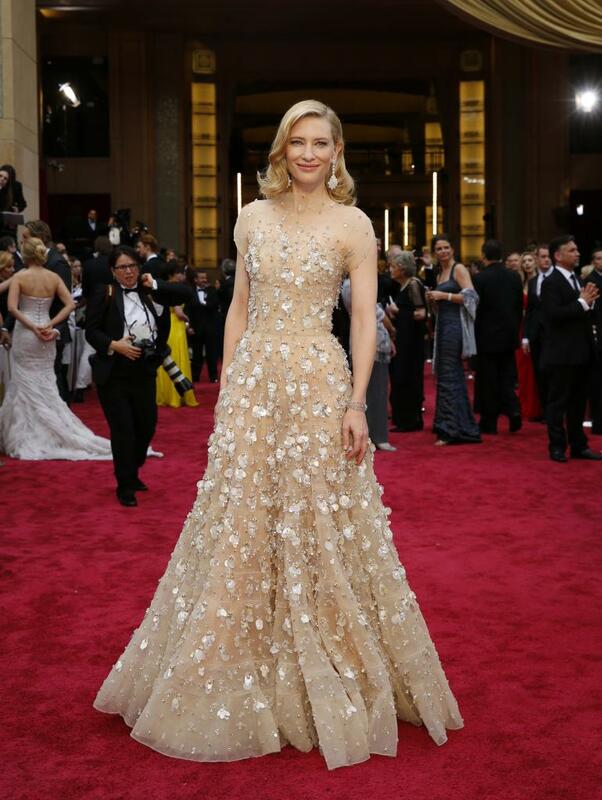 What do you think of Cate's Style? Which dresses were your favorites? Woaww 😊😊😊😊 These are so beautiful! I hadn't seen a lot of them before. Love it! I think that last one might be my favorite too. I wish the neckline was higher too but I think the color and the flowers are just gorgeous ❤️ And I love her bracelet too! Oh wow! That last one is amazing! Yes. They are all lovely. Thanks for the comment Laura! Eeeeks, I'm so happy you did a post like this! Aaaaaand, apparently I need to Google Cate's red carpet style more often--these are beautiful!! The second-to-last one ALMOST seems too casual for the red carpet, but it's so durned pretty, and I really admire her being comfortable with going more casual for a red carpet premiere. Same!! It's so much nicer without the cape. It sorta screams Marilyn Monroe to me... Especially since she's a blonde. Yes, I agree, but it makes up for the formalness in regards to elegance and class. And I mean it would be nice to be comfortable to... ;) To quote our beloved Alcott, "But dear me, let us be elegant or die!!" The last blue dress is beautiful!